Baker N, Traynor R. Gap Analysis. International Society for Medical Publication Professionals Web Site. 2011 European Meeting of ISMPP. Workshop presented Nov. 15, 2011. ISMPP U: Publication planning best practices US vs ex-US, 10/2010. Wittek MR, Williams MJ, Carlson AM. Evidence development and publication planning: strategic process. CMRO. 2009;25(11):2723-2727. ISMPP U: From Breakthrough to Blockbuster: Best Practices in Community Clinical Trial Strategic Publication Planning through the Life Cycle, 2/2009. Blow NS. Should we eliminate the Impact Factor? BioTechniques. 2014 March (56) No. 3, 105. Deluise B, Wingeron S. Electronic publishing – overview and major trends. International Society for Medical Publication Professionals Website. ISMPP U Webinar. Talk presented March 10, 2010. EASE Guidelines for Authors and Translators, June 2014. Fundamentals of Clinical Trials, 4th edition, 2010; Springer, Germany. Manual of Style. 10th ed. Oxford, England: Oxford University Press; 2007:3-6. Guidance on New Law (Public Law 110-85) Enacted to Expand the Scope of ClinicalTrials.gov: Registrat, 2007. Glossary of Common Site Terms. Hubbard SC & McVeigh ME. Casting A Wide Net: The Journal Impact Factor Numerator. Learned Publishing, Volume 24, Number 2, April 2011, pp. 133-137(5). ISMPP U: Components of a strategic and tactical publication plan. October 2006. Lu Z. PubMed and beyond: a survey of web tools for searching biomedical literature. Database (Oxford). Nash DB, Heimberger S. HEOR 101: Comparative effectiveness research: rationing or rational - International Society for Medical Publication Professionals Website. ISMPP U Webinar. Talk presented October 21, 2009. Pashos C, Wittek M. HEOR 201: how valuable is this technology? The role of HEOR. International Society for Medical Publication Professionals Website. ISMPP U Webinar. Talk presented November 18, 2009. Patel M, Bridges D. Publication Steering Committees. International Society for Medical Publication Professionals Website. ISMPP U Webinar. Talk presented July 14, 2010. Brown H. How impact factors changed medical publishing – and science. BMJ. 2007; 334(7593):561-564. Poolman RW et al, Does a Level 1 Evidence Rating imply high quality of reporting in orthopedic randomized controlled trials? BMC Medical Research Methodology, 2006, 6:44. Public Library of Science. Definition of open access. PLoS Website. Accessed March 28, 2011. Simcoe D. Journal evaluation, selection, and collaboration. International Society for Medical Publication Professionals Website. ISMPP U Webinar. Talk presented January 10, 2007. Traynor R, Seymour M, Seth A. Measuring success in publications programs: effective use of metrics. International Society for Medical Publication Professionals Website. ISMPP U Webinar. Talk presented June 9, 2010. Vogel G. Scientific publishing. Open access gains support; fees and journal quality deter submissions. Science. 2011;331(6015):273. Ziegler A, Mietchen D, Faber C, et al. Effectively incorporating selective multimedia content into medical publications. BMC Med. 2011;9:17. Alpert J, Crane E, Smith C, Jones S. Sponsored and non-sponsored reviews: defining best practice. International Society for Medical Publication Professionals Website. ISMPP U Webinar. Talk presented August 19, 2009. Booth A, Clarke M, Ghersi D, Moher D, Petticrew M, Stewart L. Establishing a minimum dataset for prospective registration of systematic reviews: an international consultation. PLoS One. 2011;6(11):e27319. Citrome L, The Sunshine Act and Transfers of Value: Impact on Non-industry Authorship, Innov Clin Neurosci. 2014 Mar-Apr; 11(3-4): 14–16. Published online Mar-Apr 2014. Citrome, L. What editors look for in a clinically meaningful presentation of trial results in a manuscript. International Society for Medical Publication Professionals Website. ISMPP U Webinar. Talk presented December 14, 2011. Datto C, Lazarus A. Setting expectations and successful collaboration. International Society for Medical Publication Professionals Website. ISHPP U Webinar. Talk presented May 18, 2011. Dwan K, Altman DG, Cresswell L, Blundell M, Gamble CL, Williamson PR. Comparison of protocols and registry entries to published reports for randomised controlled trials. Cochrane Database Syst Rev. 2011;1:MR000031. Fletcher J, Roberts C. US medical society and regulatory issues regarding abstracts and posters at scientific congresses. International Society for Medical Publication Professionals Website. ISMPP U Webinar. Talk presented May 3, 2006. Groves T, Enck R. Author submission toolkit. International Society for Medical Publication Professionals Website. ISMPP U Webinar. Talk presented September 15, 2010. Guyatt GH, Haynes RB. Preparing reports for publication and responding to reviewers’ comments. J Clin Epidemiol. 2006;59:900-906. ISMPP Sunshine Act Information Update. 2014, February. Marchington et al. Author attitudes to professional medical writing support. CMRO, 2014 Current Medical Research & Opinion Vol. 30, No. 10, 2014, 2103–2108. Matcham J, Julious S, Pyke S, O’Kelly M, Todd S, Seldrup J, Day S. Proposed best practice for statisticians in the reporting and publication of pharmaceutical industry-sponsored clinical trials. Pharm Stat. 2011;10(1):70-73. PMID: 20187020. Norris R, Bowman A, Fagan JM, et al. 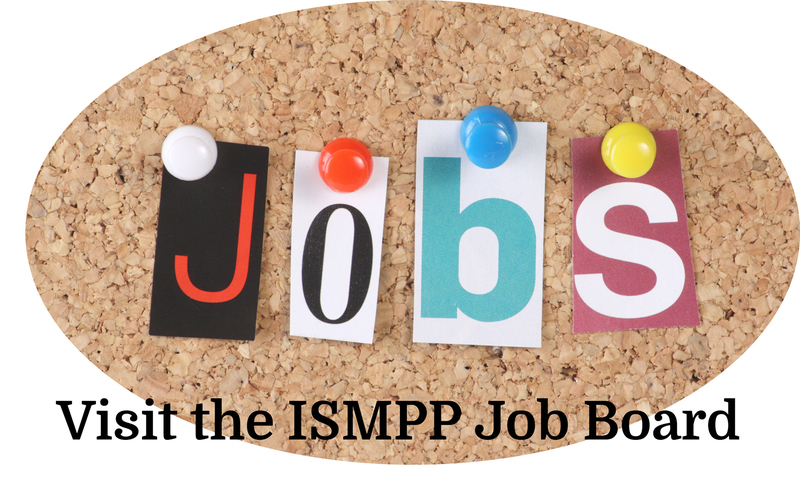 International Society for Medical Publication Professionals (ISMPP) position statement: the role of the professional medical writer.CMRO. 2007;23(8):1837-1840. Agency for Healthcare Research and Quality Fact Sheets. O'Kelly M, Julious SA, Pyke S, et al. Making available information from studies sponsored by the pharmaceutical industry: some current practices. Pharm Stat. 2011;10(1):60-69. Pharmaceutical Research and Manufacturers of America. Principles on conduct of CLINICAL TRIALS and communication of CLINICAL TRIAL RESULTS. Salt A. Discovering the optimum publication vehicle. International Society for Medical Publication Professionals Website. ISMPP U Webinar. Talk presented September 21, 2011. Tse T, Williams RJ, Zarin DA. Reporting “basic results” in ClinicalTrials.gov. CHEST.2009;136(1):295-303. Wager E. FDAAA legislation: Global implications for clinical trial reporting and publication planning. November 2008. .
Annesley TM. Top 10 Tips for Responding to Reviewer and Editor Comments. Clin Chem. 2011 Apr;57(4):551-4. doi: 10.1373/clinchem.2011.162388. Epub 2011 Jan 31. Blumsohn A. Scientific (mis? )conduct and correcting the scientific record: one investigator's perspective. International Society for Medical Publication Professionals Web Site. ISMPP U Webinar. Talk presented November 12, 2007. Committee on Publication Ethics. Principles of Transparency and Best Practice in Scholarly Publishing Guideline, January 2014. Committee on Publication Ethics. Code of Conduct and Best Practice Guidelines for Journal Editors, March 2011. Conflict of Interest in Peer-Reviewed Medical Journals, Prepared by the WAME Editorial Policy and Publication Ethics Committees, 2009. FDA 2009; ; accessed 3/5/12. Council of Science Editors. Conflicts of interest and the peer review process. Council of Science Editors Web site. Accessed October 28, 2008. Flanagin A. Ethical and legal considerations. In: Iverson C, Christiansen S, Flanagin A, et al, eds. AMA Manual of Style. 10th ed. Oxford, England: Oxford University Press; 2007:125-300. Gertel A. Guidelines on professional medical writing. International Society for Medical Publication Professionals Web Site. ISMPP Annual Meeting. Talk presented April 26, 2005. Hirsch LJ. Conflicts of interest, authorship, and disclosures in industry-related scientific publications: the tort bar and editorial oversight of medical journals. doi:10.4065/84.9.811. Mayo Clinic Proceedings. September, 2009. vol 84. no. 9. 811-821. Jacobs A, Wager E. European Medical Writers Association (EMWA) guidelines on the role of medical writers in developing peer-reviewed publications. Curr Med Res Opin. 2005;21(2):317-322. Johansson-Neil E. Medical writing support and disclosure: implications of authorship and authorial control of content. International Society for Medical Publication Professionals Web Site. ISMPP U Webinar. Talk presented on November 28, 2007. Lassman S. FDAAA One year later: recent developments in clinical trial posting requirements. International Society for Medical Publication Professionals Web site. ISMPP U Webinar. Talk presented on October 15, 2008. Lemmens T, Waring DR, eds. Law and Ethics in Biomedical Research: Regulation, Conflict of Interest and Liability. Toronto: University of Toronto Press; 2006. Meinert CL. The duties and responsibilities of authors and editors. International Society for Medical Publication Professionals Web site. ISMPP Annual Meeting. Talk presented April 24, 2007. Norris R, Druhan J, Chen G. Marketers: friend or foe of the publication plan. International Society for Medical Publication Professionals Web Site. ISMPP U Webinar. Talk presented on January 23, 2008. PhRMA Code on Interactions with Healthcare Professionals, 7/08. Publication Ethics Policies for Medical Journal, 3/30/08. Roig M. Avoiding plagiarism, self-plagiarism, and other questionable writing practices: a guide to ethical writing. Rockville, MD: US Dept of Health and Human Services, Office of Research Integrity. Revised online version published August 2006. Accessed October 28, 2008. Sarr MG, Warshaw AL. Ethical misconduct in publishing: the editors' perspective. World J Surg. 2006;30(8):1374-1376. Published online June 13, 2006. Accessed October 28, 2008. Schwartz RS, Curfman, GD, Morrissey S, Drazen, JM. Full disclosure and the funding of biomedical research [editorial][published online ahead of print April 2, 2008]. N Engl J Med. 2008;358(17):1850-1851. Accessed October 28, 2008. US Dept of Health and Human Services, Office of Research Integrity. Federal research misconduct policy. Published December 6, 2000. Updated August 15, 2005. Welch SJ. Avoiding common problems during online submission of manuscripts. Chest. 2007;131(5);1591-1594. Woolley KL. Goodbye ghostwriters! How to work ethically and efficiently with professional medical writers. Chest. 2006;130(3);921-923. Accessed October 28, 2008. World Medical Association Declaration of Helsinki - Ethical Principles for Medical Research Involving Human Subjects, October 2013. Yarker YE. Authorship in biomedical journals. International Society for Medical Publication Professionals. ISMPP U Webinar. Talk presented February 7, 2007. DeTora L . Publication Planning: Promoting an Ethics of Transparency and Integrity in Biomedical Research; Int J Clin Pract 2015;69(9):915-921. Medical Journals in the Age of Ubiquitous Social Media, J Am Coll Radiol 2018;15:173-176.